The race to the sun. 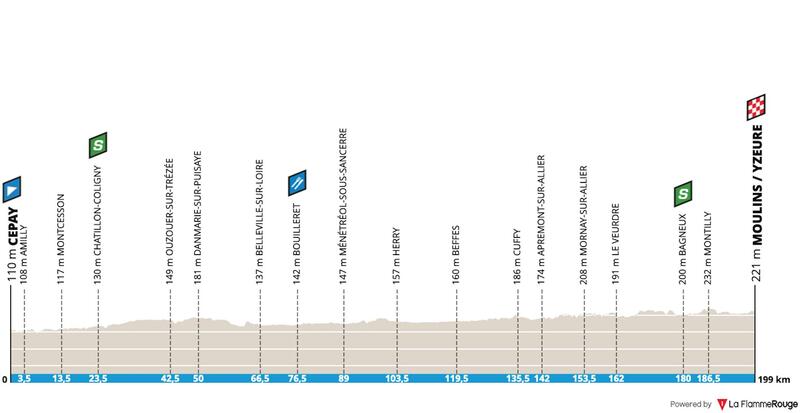 As usual we have a nice mix of stages for the sprinters, puncheurs, TT riders and climbers. Throw in the usual mix of weather conditions and we’re in for a fun week. 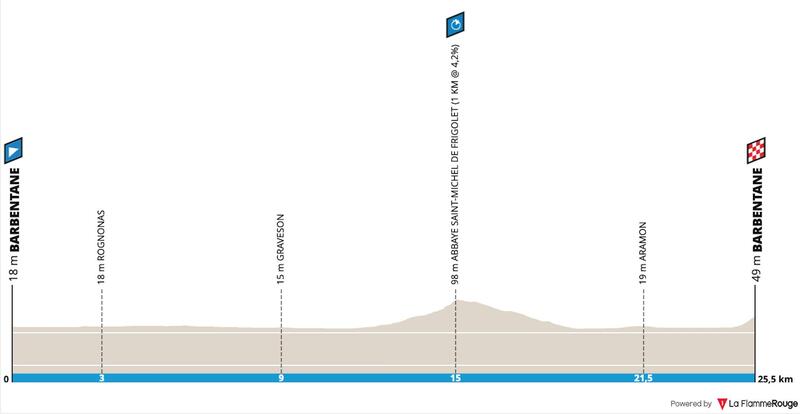 The race begins with a sprint stage, but it has an intermediate sprint with just 3km to go. 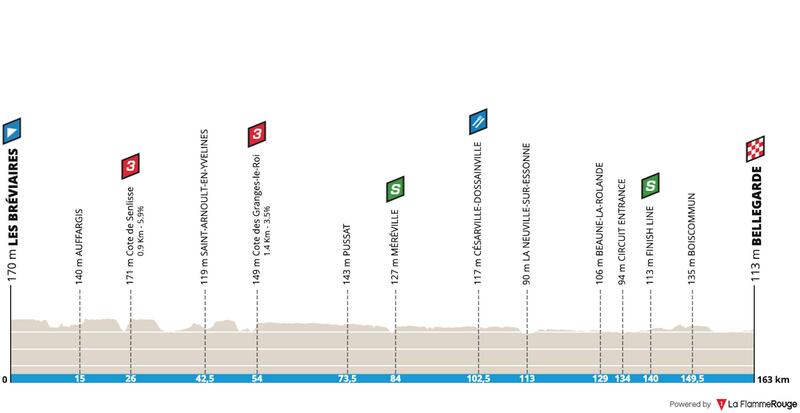 This is a stage well suited to some crosswind action, and the current forecast is looking promising for some echelons. This means we’ll have a very nervous peloton and some GC riders could have a terrible day. Another sprint stage, but also a day where it can split. It will be nervous times for the GC men, but it should end in a sprint. The third, and last chance for the sprinters. This finish is a little tougher and comes under the grippy category. Again, there is a strong chance of crosswinds and some disappointed sprinters. With four categorised climbs in the final 60km, this is one for the puncheurs. The end of the stage is also good news for the breakaway and it’s a day where the peloton will have to keep the escape on a tight leash. Time for the GC battle to really start. 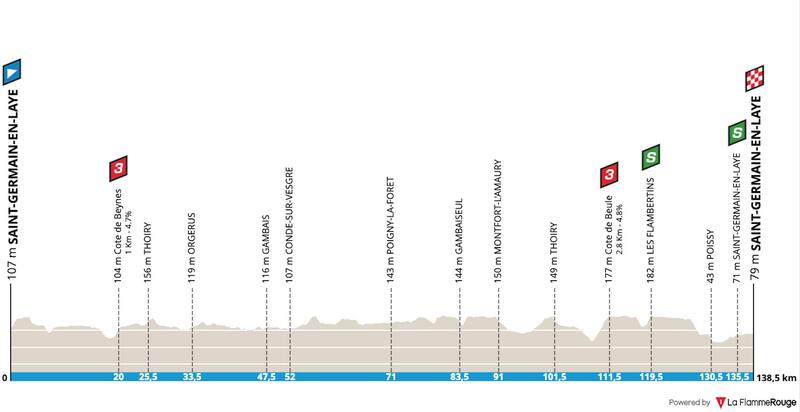 A largely flat 25.5km ITT is bad news for some of the climbers, they really can’t afford to lose too much time, as it’ll mean their GC campaign is over before it got started. 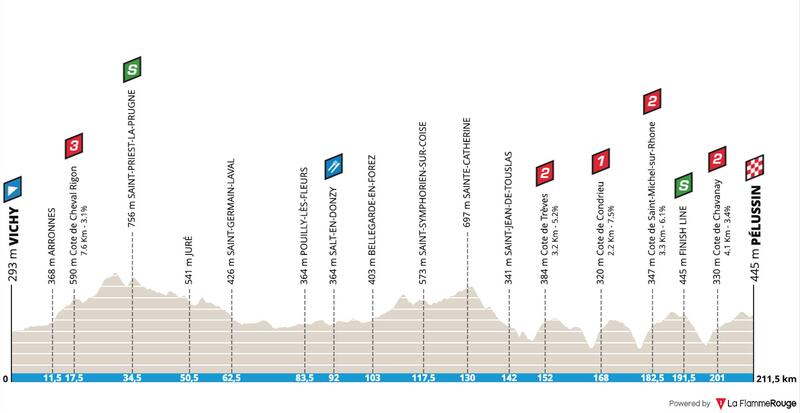 As some riders will already be far down on GC, this is a day which will interest a number of the breakaway experts. Will any of the sprinter teams chase all day with a complicated finale? Big climb alert! We’re talking around 15km at 7.2%, which is a monster of a climb in March. 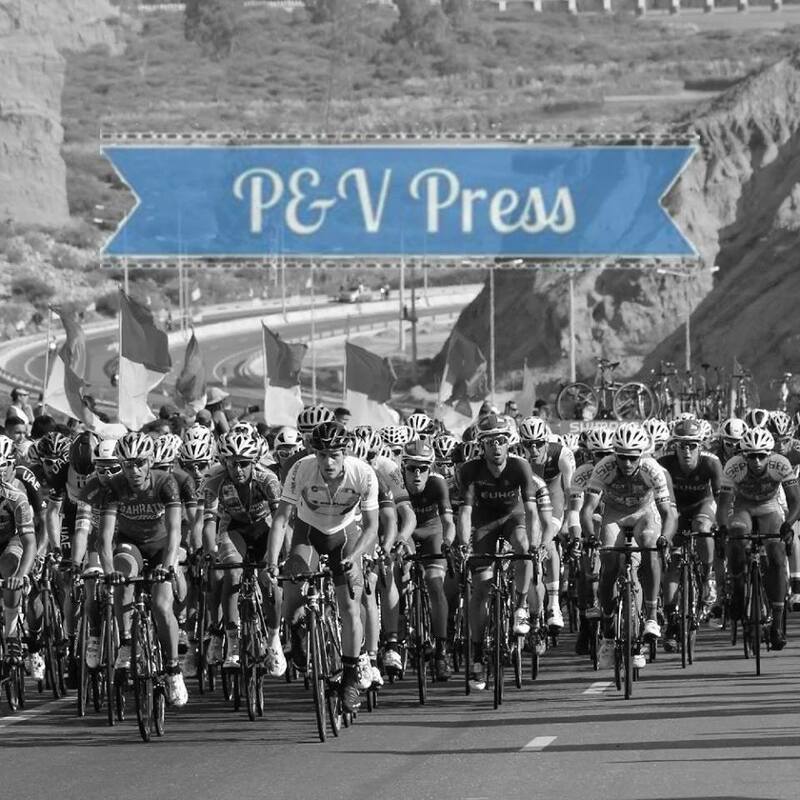 This is a big chance for the the pure climbers to smash each other to pieces and take back some time on the TT riders. 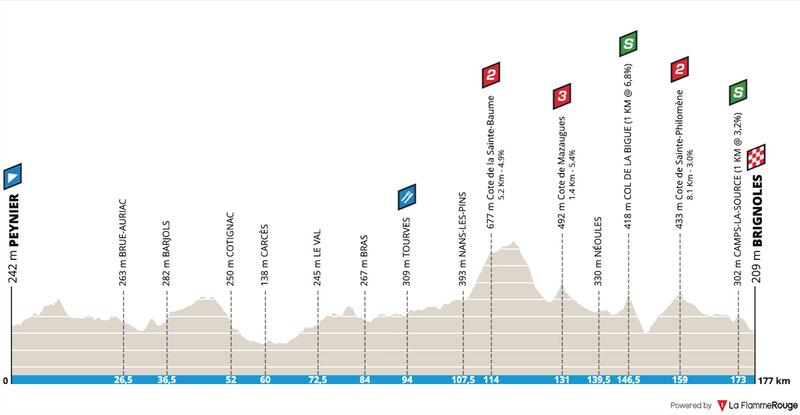 The organisers have stuck with the same final stage as last year, with the shorter ascent of Col d’Eze, followed by Col de Quatre Chemins, before the descent back into Nice. The weather had a huge impact on this stage in 2018, I wonder what it will be like under the sun? Team Sky – a team who arrive with multiple options: Kwiatkowski, Bernal and Sosa. The Colombians will love the big mountain stage, but they likely to lose a fair bit of ground in the TT, which means that Kwiatkowski might just get an opportunity as team leader. The Pole will be among the best in the TT and he’s sure to love the one-day nature of the final stage. His big task will be to hang tough on Col de Turini, as it looks a little on his limit at this time of year. It really depends on how hard the climbers want the climb to be. Astana – they arrive with Ion Izagirre and Miguel Ángel López as co-leaders. Just like Movistar and Sky, the TT should see a decision made about who is really the boss, with Izagirre likely to step forward. López was climbing well in Colombia, but he’s bound to lose too much time against the clock to be a real contender for the crown. Unfortunately for Izagirre, I think Col de Turini is too hard for him, he only just held on during the big climb in Ruta del Sol. Romain Bardet – how much time will he lose in the 25km ITT? In last year’s Itzulia TT, over 19.4km, he lost 1:20 to Kwiatkowski. If he drops that amount of time, there is no way he can challenge for the overall. 2018 was not a good year on his TT bike, I really hope he’s spent a lot of his pre-season looking at how he can improve in this discipline. It’s the only thing stopping him from winning the biggest races. Marc Soler – can he defend the title? The TT is certainly in his favour, he is better than most climbers against the clock. He started off the season in Colombia, getting some race kilometres in the legs, but this will be his first target for the year. Soler won in 2018 thanks to a brave move, but he’ll need to climb well this year to win it again. Nairo Quintana also rides, but his TT is poor and that should put him out of the GC picture. He will be an important man to help Soler in the mountains, but it won’t be easy for Soler to win the title again. Patrick Konrad – slow and steady progress is the best way to explain his progression. In 2018 he finished 7th in the Giro, a fantastic achievement for the Austrian. A solid performer on his TT bike, he’ll be looking to make time on most of the climbers before heading into the mountains. Konrad also packs a fast sprint, which he could use to pick up some bonus seconds along the way. Bob Jungels – a stage winner in Colombia, he followed that up with a brilliant win in Kuurne. Jungels is clearly in sensational form, it was a huge effort to hold off the chasing peloton in the final 10km. 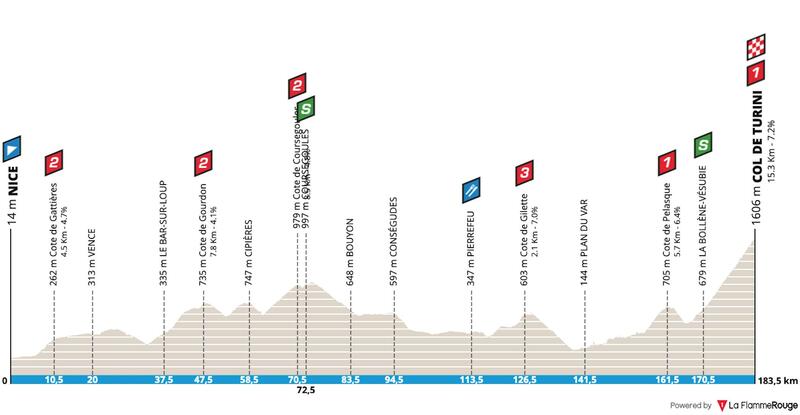 Going into Paris-Nice, he’ll be happy to see the 25km ITT, that’s a huge chance for him to take a win and a whole heap of time on the pure climbers. Quickstep have enjoyed a brilliant start to the season, but winning Paris-Nice will be a tough ask for Jungels. Can he follow the climbers when they go full gas up the big climbs? Simon Yates – started Ruta del Sol as a domestique, but ended it by reminding everyone what an amazing climber he is. Possibly the rider of 2018, he’ll be keen to start 2019 with a bang. His performance on his TT bike was massively improved last year, he’ll be confident of beating his fellow climbers and putting himself into a strong overall position. Last year he blew on the final stage, but that won’t be a concern for him as he banished all of those demons at the Vuelta. He has spoken about the Giro being his main goal, but I’m not buying that, he should be targeting a win here too. Rigoberto Urán – after a solid start in Colombia, I’m excited to see him racing in France. 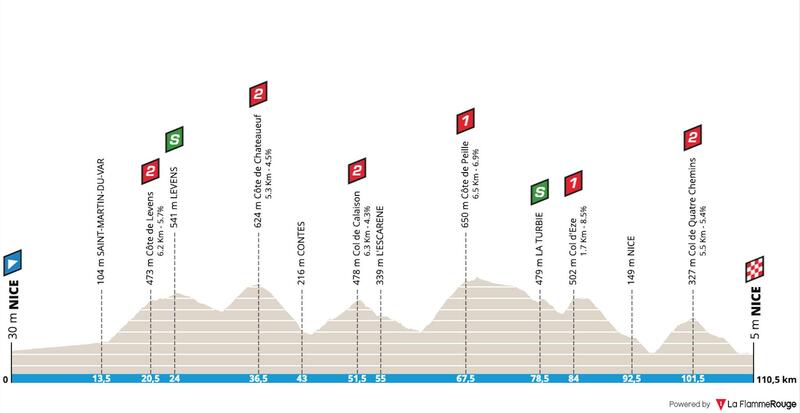 As Tirreno doesn’t have any mountains, Urán has decided to head to Paris-Nice and compete against the big climbers. 2018 wasn’t a great year for him, but he rescued the season with a good result in La Vuelta, where he finished 7th. EF Drapac have impressed on the TT bike this season, if Urán can post a competitive time, he’ll be right in the GC battle. Wilco Kelderman – another climber who should enjoy the TT. After finishing 5th in the UAE Tour, he’ll be hoping for a better result in France. A lot of 2018 was ruined by injury, but he still managed to post some big results: 2nd in Abu Dhabi, 5th in Suisse and 10th in the Vuelta. Despite being a very talented rider, his results don’t really match his potential, he just doesn’t win races. Now 27 years old, he should be stepping up as team leader, or getting ready to become a domestique. The pressure is mounting on him to deliver a big result and this route is a good one for him. Judging by the weather forecasts, there is every chance the sprint stages get blown to bits, not what the tiny climbers want to hear. To win this race you’ll need to be good in an echelon, have a strong team, be good on your TT bike and be able to climb! Step forward Michal Kwiatkowski.